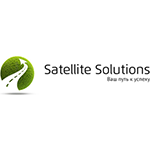 Satellite Solutions is a Russian navigation equipment developer and manufacturer. The client base includes customers from Russia and other CIS countries. SatSol achieved significant success in the area of civil monitoring. Automobile controllers by Satellite Solutions gain popularity with our clients, making it one of the top companies in terms of connection dynamics. The chart below shows the changes within the last 30 days in the number units of Satellite Solutions devices type are connected to Wialon Data Center.